This article details how to create a Manual Playlist in the Manager. Manual Playlists allow users to make a playlist of any videos regardless of category or keyword, but the user has to manually update the playlist to add new videos. Manual Playlists are more flexible than Smart Playlists in this regard, but do require more direct user management. 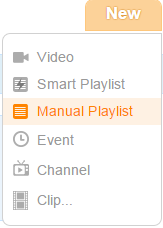 To create a Manual Playlist, log into the Field59 Video Manager and click the orange New button in the upper-right portion of the main menu, then choose Manual Playlist from the drop-down menu that appears to open the Create New Manual Playlist screen. Give your playlist a meaningful Title and Description so it is easy to search/locate later if you need to update it. 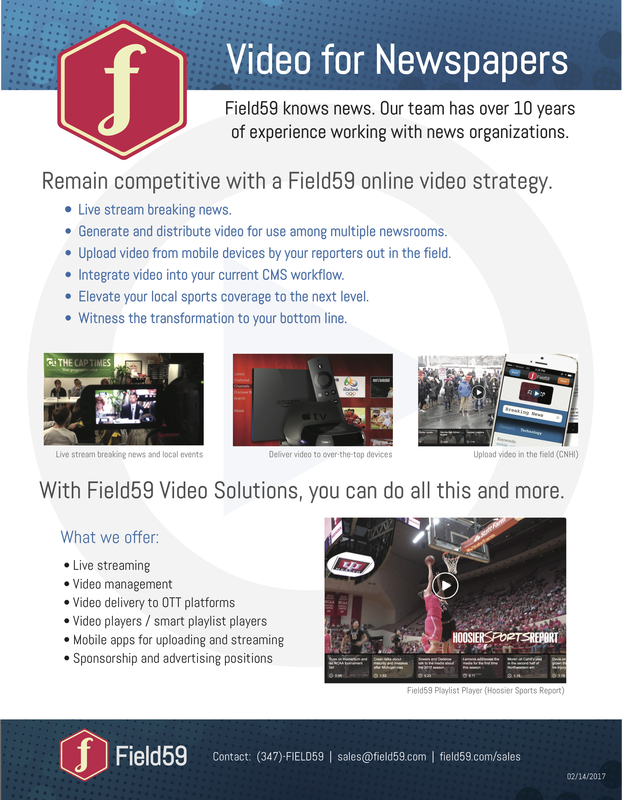 In the Asset Criteria area, use the search to find your videos for the playlist. The Manual Playlist search will return any Title, Description, or Keyword tag that matches your search query. You can also filter by category, account (if your user has access to multiple accounts) and/or date range to further refine your search if needed. To preview a video, click on the item title in the search results area to open a popup preview player. To add an item from the search results to your Manual Playlist, click the “plus sign” button to the left of the title. The item is added to the playlist in the Playlist Assets area. You can remove items already in your playlist by clicking on the “minus sign” button. There is a 100-item limit on manual playlists. To reorder the items in your playlist, you can drag-and-drop items as needed by clicking to the right of an item in the playlist. The playlist will play the items from top to bottom. When you are satisfied with your playlist, click the Save button to save your item to create the playlist.